What does “praying without ceasing” mean to you? To me, to “Pray without ceasing” means to continually think spiritual thoughts – to know and apply metaphysical Truths to day-to-day events. The opposite would be to entertain, accept, or dwell on erroneous thoughts.Sometimes we pray without ceasing because we nave a specific need. An example of this was the time I seemed to feel pain in my knee when I walked. I decided to “pray without ceasing” with every step I took, and instead of thinking, “That hurts” I thought, “God is Love!” I kept my thought filled with Truth so there was no room for error. By the end of the day, I felt no pain in that knee and haven’t since. I find that to pray without ceasing means “constant right thought.” This would be thought that is consistently inline with Truth—with what God is knowing about everyone (ourselves included) and everything.For instant clarification if a declaration I have made is truthful or not, it helps to use the tag line “God said” after it. Right then it becomes crystal clear if thought if inline with God. “I am sick”—God said. Quite obviously this doesn’t work. “I am able to express all good”—God said. Bingo!To pray without ceasing isn’t hard…it is simply keeping thought aligned with God. I feel it means to be in that secret place of the most High at all times, To see the perfect love God has for me, and all those around me. I love the part in the 91st Psalm where it says,” only with Thine eyes shalt thou behold and see the reward of the wicked” , and where our beloved leader Mary Baker Eddy shares with us, on understanding God. 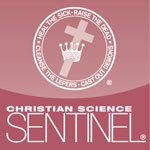 In the textbook, Science and Health, with key to the scriptures page 465, What is God? The idea of God as divine Mind, Spirit, Soul, Principle, Life, Truth and Love. If we use these synonymous terms in the place with the 91st Psalms where it says, “thine eyes” towards ourselves, and those around us, we start to get clearer views of our relation to God and of all others relationship means. Such as, Loves eyes will see the reward of the enemy. Surely there is no end to this, what is Loves eyes, what does Love see? I do not feel this is a formula, because it is an endless supply of ideas all stemming from Mrs. Eddy’s information shared with us. Prayers hearts desire to me is always being in that secret place of the most High, in all places, at all times, of every action that comes to take me forward. Being in that secret place, Perfect God and Perfect man, as our dear leader shares. Thinking further 1st Corinthians 13, for now we see through a glass, darkly; but then face to face: now I know in part; but then shall I know even as also I am know. Borrowing from Mary Baker Eddy’s explanation of the biblical use of the word “beginning”; to pray without ceasing means to realize that one never starts praying – never needs to consider their true self as absent from a prayerful position. In a spiritual sense we are always praying; always acknowledging and honoring our Father/Mother God. If it appears that we need to start praying, then we have removed ourselves one (human/material) step from the kingdom of heaven. It means being conscious of God’s presence in your life — your Life. Life doesn’t change. As we expand our view of Life, God – of its allness and goodness and reality, we feel safe, secure, helped, on a daily basis. It’s something developed over the years, but it means remaining as alert as you can to monitor your thoughts and correct with Christian Science those that are not reflections of how you understand that God would be responding to whatever you become aware of via the physical senses. It might be called “keeping your reflection of God pure”. It means to me: endeavor to have only thoughts coming from God. Just like I read three days ago from MBEddy: “If you rule out every sense of disease and suffereng from mortal mind, it cannot be found on the body.” (Retr., 61) The first part of the sentence is quite challenging, because this includes any critical thoughts (towards others and oneself! ), any tired thoughts, any sad thoughts, etc. But it is wonderfu! This activity gives one such joy! And peace. To me, “pray without ceasing” means I am every moment reflecting on the things of God – on Her goodness, supply, direction, governance, beauty, etc. in each moment. I am holding to the truths I know to be right about mine and mankind’s nature as children of God. It’s never letting God out of my thought! It means that every act, every word, and every thought glorifies God. As His image and likeness, in reality we cannot do anything else! I like this very much, it brings a sense of consequence, honesty, wholeness, devotion, humility, coincidence … and this certainly results in transformation and healing … by that to me it feels like an offering, a wonderful gift, an invitation, something I may do rather than a requirement … … inspiring question, thank you and thank you for all your answers! I remember a number of years ago I was perplexed by the direct requirement that we “pray without ceasing”. I asked a Christian Science practitioner how I could meet that standard and still work at my career that seemed so demanding at the time. He said I could see my work as prayer in action, as the active expression of Godlike qualities. In that way, when I focused on my work team, I could be the expression of Love; as I searched through data for accurate information, I could see Truth expressed, and so on. It was, to me, a very practical example of how divine Science is proved in all our daily activities, that we can practice seeing God in all that we do. “Praying without ceasing” is knowing that at all times and under all circumstances God is the only power, God is present everywhere (even where the rankest form of error appears to be), God is the only intelligence, and God is the source of all right activity. It is seeing my fellow man at all times as the innocent, pure, perfect man of God’s creating. It is seeing one spiritual creation, not two. It is honoring God in all I do. It is expressing love at all times, under all circumstances. It is blocking out or denying all error-filled thoughts and replacing them with Truth. It is being a law unto oneself whether awake or asleep. It has gotten to the point where, even if I am dreaming and experiencing any untoward circumstance therein, that I immediately begin praying the Lord’s Prayer in the dream and save myself and others every time! reminders of how to judge, or a bible phrase. I turn to and watch how to be lead. I’m learning “all things are possible to God”. Even with the little details I am starting to defer. This results daily in the right way shown, & seen, mini healings, peace, things synchronise, I’m knowing I can in fact lean on God, sometimes I hear I need to be radical in relying on God. This is how I have learn’t to pray. (The beginning, genesis, as Mary Baker said means ‘only’, living in the Only life which is infinitely Good, Great, Loving, Protected, Strong, with Father doing the doing leading the way). For me it staying in the moment acknowledging God as All and in all. Being constantly aware of the atmosphere of Love Divine; embracing living and moving in that Love ever and always present. Thank God for the Comforter. To pray with out ceasing, is to pray non stop, to look to God for everything. The Divine Father knows what we need, before we ask. Jesus’ closing words to the parable of the Good Samaritan in this last week’s Bible lesson “go and do likewise”. To “pray without ceasing” is perhaps to be That man – open eyes, open heart, open hands; to see our neighbors need and respond in an instant. To be a sentinel “on duty”, fit for the need. Thank you Sentinel for asking such good questions and helping keep us awake! I’ve loved reading all the responses! To pray without ceasing means to me (today at least): 1) having a continual trust in the ever-presence of Good. This means that even when the outward picture is not looking so good, that I am aware that good is actually here, and I am working to see it more clearly. 2) having a constant yearning to express Love. This means that even though I may not be feeling that it is being expressed by me or others, I know that it is present and I am always looking to express and experience love more. 3) continual growth in challenging the downward tendencies that are associated with accepting limitation for me or for others. This means that I am constantly expanding in my knowledge and demonstration of what the opposite of limitation is, (which to me is the understanding that we each have a spiritual being that is able to do all of the above right now.) 4) It’s the practice of the above mentions things, not knowing about Trust and Love, but the actually doing of it, moment to moment. Praying without ceasing to me, is less like “Jeopardy”, and more like “Survivor.” Knowing the answers is great, but proving then is a whole other story! Praying “without ceasing” to me means never removing the earphones connected to Mind. Since separation from Mind is not possible, I am technically always hooked in and in ceaseless prayer.